During an event organized by Europa Press, La Liga president Javier Tebas stated that he believes “something” will happen with Neymar and Mbappé. The summer transfer market seems like it will be even more interesting than the ones prior due to the high demand for stars like Neymar and Kylian Mbappé, at least that’s what La Liga’s president Javier Tebas seemed to hint this Wednesday. 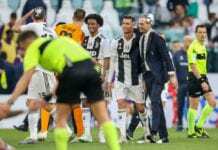 During an event organized by Europa Press, the chairman spoke about several topics regarding the competition he controls and spoke about how much the exit of people like Cristiano Ronaldo, Jose Mourinho, or Pep Guardiola have affected the tournament in a very negative way. It’s clear that these football stars leaving Spain dropped La Liga’s level and has elevated the countries where they have decided to continue their careers, Guardiola made a massive impact in the Bundesliga when he coached Bayern Munich for three seasons and Jose Mourinho kept winning trophies in the Premier League during the time he managed both Chelsea and Manchester United. 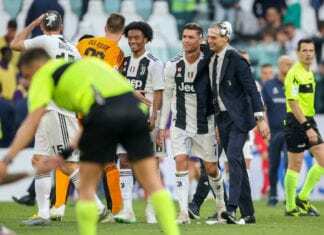 The situation with Cristiano Ronaldo is no different as he has managed to revive Serie A practically on his own after coming to Juventus, suddenly many top players want to play in Italy just because they want to play either with or against the Portuguese forward. ➡ Tebas: "Ojalá que Mbappé y Neymar jueguen en #LaLiga"
Tebas is aware that the Spanish La Liga needs to make some instrumental decisions that will bring the competition back to the very top and they can keep winning the biggest trophies on club level football. While FC Barcelona seems like they will keep Lionel Messi in the squad until the day he retires, clubs like Real Madrid or Atletico are still searching for more interesting players who can help them compete against the dominant Catalan club. Los Blancos are a very specific case, they are one of the wealthiest clubs in the world and they are expected to make a massive investment in one of the two most coveted players in European football. Paris Saint-Germain currently has Neymar and Kylian Mbappé, the Brazilian seems like a more plausible option for the French giants to release from the club but the French wonder kid is still one of the most impossible targets in the market today. However, president Javier Tebas just hinted that he may have some inside information about the possible negotiations for both players and he let something slip this Wednesday during the public event organized by Europa Press this week. 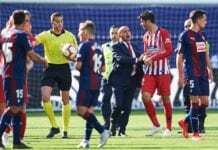 Apart from dismissing the complaints from Real Madrid about VAR used in the Spanish La Liga, Javier Tebas offered several headlines as usual about several topics that are very interesting to the world of football. “I wish that both Neymar and Kylian Mbappé can come to La Liga next season,” said Tebas on Europa Press during the event. “We did place a formal accusation against Paris Saint-Germain in front of UEFA. We won’t stop being on top of this issue until we get a proper resolution,” he added. Who would you like to come to La Liga, Neymar or Kylian Mbappé? Please share your opinion in the comment section down below.